It seems to be an almost universal answer to what should be a challenging question: ‘If you could only drink one type wine for the rest of your life what would it be?’ Champagne is the reply, nine times out of 10. And why is this so? Is it due to the fact that Champagne has become synonymous with celebration? Is it because Champagne is generally procured by those with deep pockets, a luxury that makes nearly every sip that much sweeter? Is it derived from sheer appreciation for a craft that has been fine-tuned and mastered by the French over two hundred years? I happen to think that this unmistakable draw lies in the bubbles. There is something mesmerizing about this effervescence, each miniature globe quickly rushing to the surface, bringing forth tiny bursts of delicious happiness. If you have a glass of Champagne in hand it is likely that you are toasting a happy occasion, rewarding yourself for an achievement or that you may be raising your glass in honor of someone very special. Whether you begin the night in celebration or if a cork is popped long after the festivities have begun, Champagne carries with it a history and tradition that is unmatched. Try as they might, the Cavas, Proseccos and Sparkling of the world will have to accept their fate as second fiddle. For there is only one true Champagne. As discussed in my previous post about the wonderful wines of Alsace, I had the pleasure of taking a three-week wine course taught by Scott Harper, Master Sommelier. 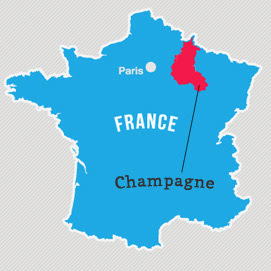 Our last class was dedicated to the Champagne region of France. We tasted our way through nine different Champagnes and I don’t think there was a drop left behind at the conclusion of the class. Here I have recapped my favorite take-aways and what I think are the most important elements to know about this star of the wine world! Rosé: generally a blend of chardonnay with one or both of the Pinot Noir and Pinot Meunier grapes. Blanc de Blanc: directly translates to ‘white of white’, indicating that only Chardonnay was used in the making of this bottle. 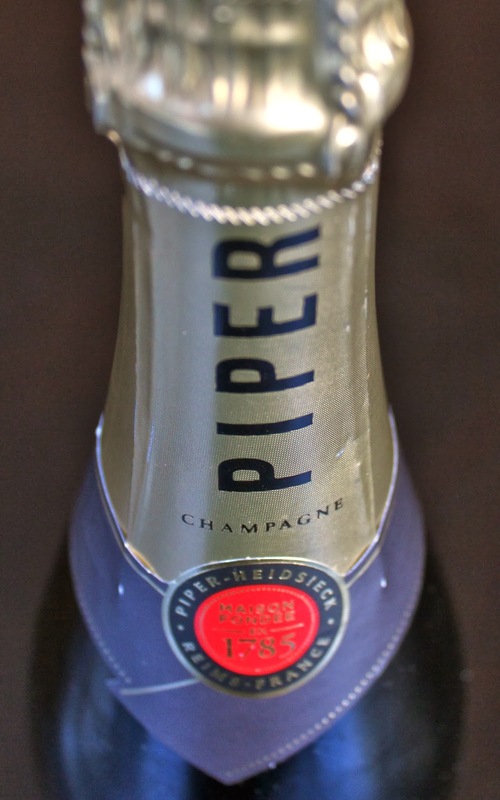 Blanc de Noir: ‘white of black’ – one or both of the red grapes have been used to create this Champagne. To begin, Champagne grapes are only harvested by hand. No machines allowed. The grapes are gently collected in baskets and small bins, rather than mass crates. This keeps the skin of the grapes intact and prevents them from being crushed prematurely, stalling any early fermentation and ensuring the quality of the juice does not suffer. From the harvest the grapes are pressed and go through the same vinification process as a still wine would, aging for the initial fermentation, as appropriate, and generally in stainless steel tanks or old oak barrels – too old to impart any oak flavors into the wine. Grape varietals are then blended, based on the type of Champagne the winemaker is creating, and transferred to a bottle along with yeast and sugar. Sealed with a cap similar to that of a beer bottle, the wine undergoes a second fermentation when the sugar and yeast combine to create alcohol and CO2. From here the wine will age for a minimum of 15 months for non-vintage Champagne (indicated by NV on the bottle – various years have been blended) and three years for Vintage Champagne (indicated by a year on the bottle – reserved for exceptionally strong years when production is of the utmost quality). 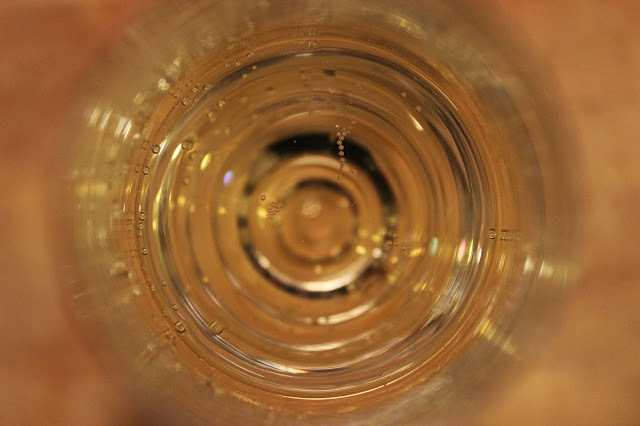 As the wine ages and develops, yeast cells die and gather in the base of the bottle. This element of the process imparts the unmistakable flavor or fresh-baked bread, or dough that has just finished rising and is warm and fragrant. Once the bottle has aged for one and a half to three years, the process of ‘riddling’ is begun, in an effort to move the yeast to the neck of the bottle. A complicated matter, this is rarely done by hand anymore, as it can take months. Machines have come into play in an effort to save time and energy, doing the job in mere weeks. Now that the yeast has been captured in the neck of the bottle, the top of the neck is frozen, creating an ice plug and trapping the yeast. When the bottle cap is removed the pressure in the bottle shoots the ice plug out, successfully removing the yeast from the bottle. A touch of sugar and a bit of Champagne is added to top off the bottle and then the final cork is put in place, held secure with a wire cage. I hope to share a glass of Champagne with you soon – Cheers!